The Senator Course at Shula’s Golf Club in Miami Lakes, known for its classic style and lush tropical landscape, is one of Miami's best championship golf courses. The 18-hole, Par 72 course features Championship Bermuda greens and trees, a driving range, and a practice area. 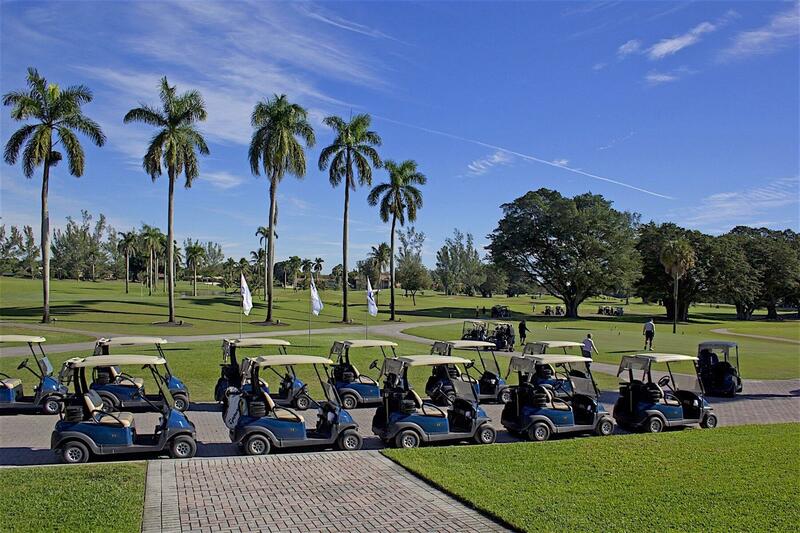 Known as one of Miami’s best Championship Golf Courses, The Senator Course is unlike the typical hotel golf course. Originally designed of Bill Watts in 1962 and later updated in 1998 by nationally recognized Golf Course Architect Kipp Schulties, it is the perfect destination for great golf. The Golf Club, a unique property in a true country club setting, has a driving range and practice area. Shula’s Golf Club is home to The Original Shula’s Steak House, “One of America’s Best”, upscale dining, celebrating the 1972 undefeated season of the Miami Dolphins. Enjoy the privileges of membership while playing on our championship golf course. Shula’s Golf Club has a variety of golf memberships available for every golfer. For membership information call our Pro Shop at 305-820-8088 or visit our website for more details. Shula’s Golf Club hosts a variety of golf tournaments and special events. Our knowledgeable staff will work directly with you to create a tailor-made event no matter how small or large a group. We can accommodate you with a customized array of activities, amenities and services that include a host of catering options including private dining at Shula’s Steak House, The Original. To plan your next event, please contact Dave Gergely at 305-820-8097 or via email at [email protected]. Our entire staff looks forward to hosting your next outing! Shula’s Golf Club sprawls over 500 tree-shaded acres in the award winning planned community of Miami Lakes. The Golf Club, a unique property in a true country club setting boasts championship golf, a driving range and a practice area. The Golf Club offers many amenities. As we are constantly upgrading our facility, please contact us for our latest offerings. Call 305-820-8088 or email us. Our staff will be happy to assist you.